BEGINNINGS: ONE MAN’S MISSION TO HELP FUND DISASTER RELIEF. AIDFound is a concept that was originally conceived following over 20 years of construction and insurance claims experience by the founder, David Cutler. He quickly realized that there was consistently a huge time gap between the actual disaster events and receiving ample funds for repairs and recovery. 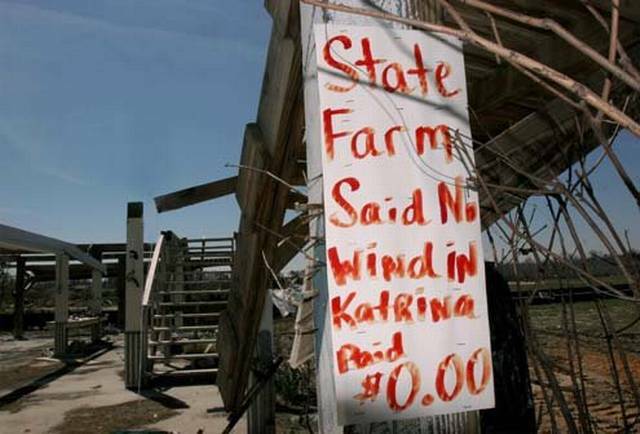 In most cases, the majority of the damage and associated claims couldn’t even be addressed until the insurance adjuster or government aid has issued an official check. Therefore, the founder visualized an organization that would “Bridge the Gap” and provide financial relief, in most cases, within 72 hours of a natural disaster, when such donations would have the highest impact to the victims. This concept allows the organization to become more of an administrative office that simply provides funds to the local community leaders, with fast results and limited overhead. The founder's vision was to bridge gaps to recovery and provide financial relief, in most cases, within 72 hours of a natural disaster, when donations would have the highest impact in helping victims. The founder’s vision was to bridge gaps to recovery and provide financial relief, in most cases, within 72 hours of a natural disaster, when donations would have the highest impact in helping victims. The founder recognized that, after a natural disaster, individuals, even from outside of the disaster impact zone, would flock to the crippled area to unethically take advantage of others. In fact, outrageous fees were often charged to do initial cleanup. Unfortunately, in many cases, the victims were on limited budgets (often living from paycheck to paycheck), so the financial impact were potentially overwhelming. Gouging prices often forced victims to have to make a choice between doing a repair or providing the loved ones with food. Often, necessary repairs were beyond the reach of such ones. The lack of immediate funds sometimes resulted in individuals having to leave their homes and even sleep in tents. Business owners were often forced to close. For example, a small sandwich shop that loses power for just 3 to 5 days is in danger of losing all of their perishable foods. With no money to buy new supplies, not only would the business sometimes die, the ripple effects to the local community was usually severe. This Was the Birth of AIDFound. We use cash donations from people like yourself to help victims overcome the first few days of a natural disaster. We call it “Bridging The Gap” between the insurance companies, government aid programs, or other organizations that often may take weeks or months to provide financial assistance. We encourage you to make a small pledge each month. After all, you never know when you might be a victim yourself.